The concert starts at 7:30 p.m. The concert is free and open to the public. 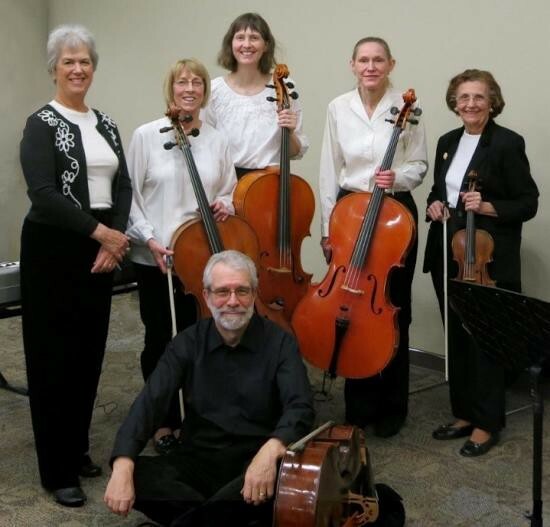 The Haddonfield Cello Society is performing at the Haddonfield Library on Wed., Oct. 25 at 7:30 p.m. The concert is free and open to the public. The ensemble of four cellos, accompanied by piano and violin, was founded two decades ago by members of the Philharmonic of Southern New Jersey. They play in a variety of orchestras and ensembles, but come together several times a year to perform music written and arranged for multiple cellos. The Cello Society consists of all local musicians and have presented programs which include classical pieces as well as popular rock, folk, show tunes. They have performed at community events, activity centers, and for many years have been part of First Night.